Perennials are the wonderful leafy plants that put on gorgeous displays of flowers and foliage. Their enormous variety of colours, shapes and characteristics offer an incredibly wide range of combinations and potential applications. Plus some perennials have added benefits too such as lovely fragrance, or they attract butterflies or are suitable for use in cookery or as a cut flower. In short, with perennials in the garden it’s a celebration all year round! Perennial means a leafy, herbaceous plant with non-woody stems. Perennials have underground roots and form fresh stems, foliage, flowers and seeds above ground every year. Most perennials die back above ground in the autumn and overwinter underground. They grow back bigger every year. They spread sideways in all sorts of ways, but because most of them die back above ground each year, the height tends to remain the same. 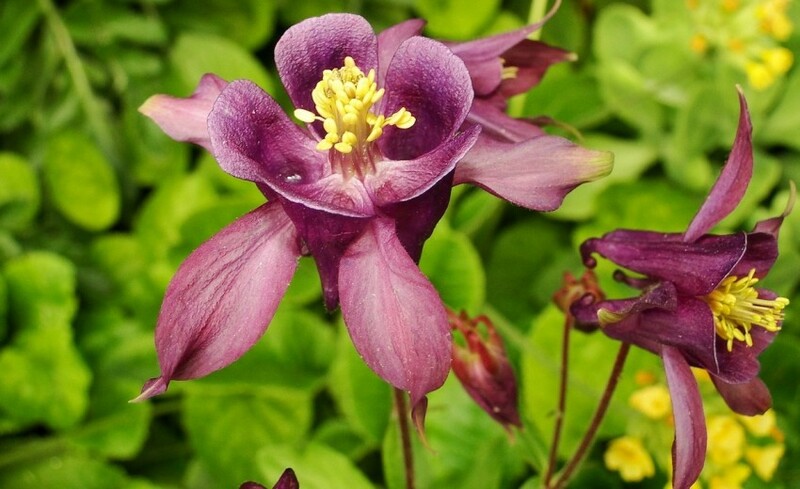 However, there are an increasing number of varieties on offer which remain green in winter and do not die back above ground, but which are still herbaceous. The range of perennials is the broadest of all plant groups and gets bigger every year. The average flowering time for a perennial is three weeks. The peak flowering period is in the summer months. The classic perennials borders in the gardens of the large country houses are always at their finest in June and July up until mid-August. Plus you can avoid the border looking dull after that by making sure that you plant a good spread of flowering times which go beyond the main season. A good border is designed in such a way that there is something to enjoy every season. By spreading the flowering times effectively you can enjoy continuous flowering throughout they year. The size of the border determines how much colour it can offer at the same time. Perennials and shrubs are usually the most important elements in a border. A planting plan needs to aim at attraction and interest in the border even outside summer. So ideally, there should be no ‘flowering gaps’ caused by the fact that most plants achieve their peak at around the same time. Spring and summer are the glory times for perennials, but they can also brighten up the autumn substantially. The emphasis during this period is on perennials which are at their best from late summer onwards. Some perennials are still in full colour in autumn, whilst others are already developing attractive warm autumn colours. One nice combination is Sedum with bergamot (Monarda). Asters are the autumn flower par excellence. They come in a host of colours.